…to Ski Royale holidays, Megeve, where our attention to detail, personal service and top class catering make us the best in the business, but more than that, is the atmosphere that we create in our ski chalets, a fun, friendly, warm and cosy environment, very comfortable, very relaxing, with personal touches to ensure you have the ultimate ski get-away!. We operate exclusively in the unspoilt, charming ski resort of Megeve, famous for it’s chic boutiques, cosy bars, cafes, fine dining and Michelin starred restaurants, not forgetting the 445km of freshly groomed piste and stunning views of Mont Blanc. With it’s horse drawn sleighs and cobbled streets Megeve is idyllic, an Alpine winter wonderland in the very heart of the French Alps. It’s location, just an hour from Geneva Airport makes Megeve a perfect ski weekend destination and with it’s fantastic choice of restaurants, a great resort for skiers who like to lunch. Why Megeve? Megeve is a beautiful village with stunning scenery, Megeve has some great skiing for all levels with some fantastic off piste opportunities and the most amazing mountain restaurants, including the Folie Douce bar/restaurant, live music and entertainment on the slopes as well as 3 Michelin Star restaurants in resort! Why Ski Royale? We have been specialising in luxury ski chalets, ski weekends and short ski breaks in Megeve since 2001, we believe our holidays offer great value for money, allowing you time to relax, enjoy the skiing and amazing food, topped off with a friendly genuine service. 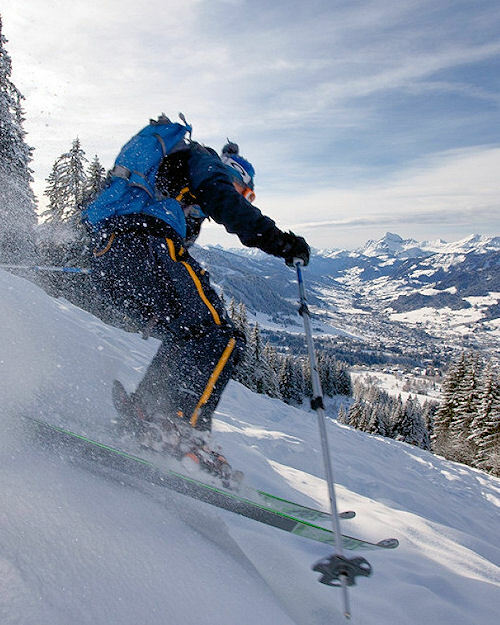 Get the most out of your holiday and come and join us in Megeve! 82% of our Clients are returning customers or have been recommended by friends.